Prevent pesky intruders from commandeering your purple martin houses with the Heath Manufacturing Company Door Stops. When martins migrate and leave their houses unoccupied, other birds are just waiting to move in. If this happens, it could cost you your martins for good, since they like to return to the same housing year after year. 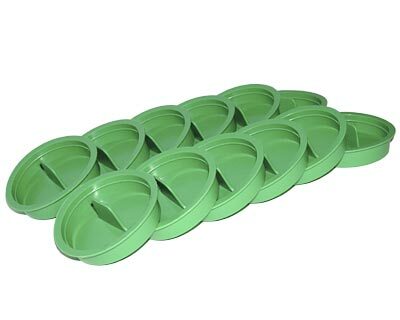 Now, all you need to do is place this set of 12 round, green door stops over the entrances to your Heath purple martin houses to make sure the houses stay vacant. Remove the caps when the season is right for purple martins to return and enjoy the rightful tenants of your purple martin houses. Made in the USA.